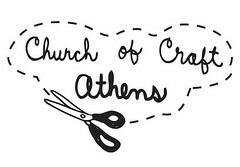 Please join the Church of Craft Athens for our first meeting! 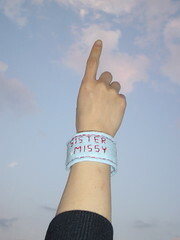 We are very excited to meet you and check out your projects. We will meet at Common Ground on Saturday, April 8 from 1-4pm. Common Ground is located at 157 Newton Street (on the corner of Broad and Newton). Bring your friends and get ready for some crafty fun! The Church of Craft, Athens, Georgia, is one of many Church of Crafts located around the world. Our mission here in Athens, GA, is to gather people together in the spirit of creativity. We want to foster community harmony through interaction, communication, and education - and dammit, we wanna have fun while doing it! Our hope is that people will join us once a month to hang out and craft, create, make, and find inspiration...let us be inspired and let us inspire each other! EVERYONE is welcome to join our monthly gatherings. The Church of Craft, Athens, is non-profit, non-denominational, and non-judgemental. Gatherings will be held once a month at Common Ground, a community space located in downtown Athens (on the corner of Newton and Broad streets). Meetings are informal, and all are welcome to come and go as they please.